Our Model 881 ADV-X is ideal for distribution and manufacturing facilities that require controlled environments or where there's high traffic from forklift operation. It's airtight design prevents airborne contaminants from entering the controlled and non-controlled environments. 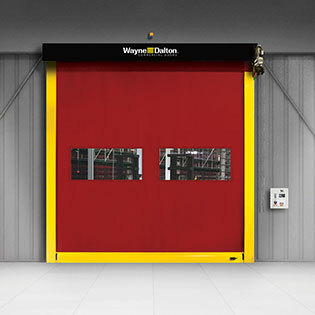 The strutless design lowers the operational noise of the door for quiet and smooth operation. Model 881 is capable of withstanding pressure of up to ±7.5 PSF or 90 mph, making it an excellent option to separate high and low pressure rooms in large facilities.